A riveting, edgy Young Adult thriller from #1 New York Times bestselling author Gregg Olsen with a memorable protagonist who is a mix of Lisbeth Salander and Dexter Morgan. A twisted murder, a tangle of lies . . . Now Rylee must run for her life. What if you discovered that everything you thought you knew about yourself was a lie? Rylee has spent her life being shuttled from city to city by her parents. She assumes the reasons are normal. But the truth couldn't be more shocking. One day Rylee comes home from school to find the most horrifying thing imaginable -- her father dead, with a knife through his heart, and a key clutched in his hand. Her mother's purse is on the counter, but she appears to be long gone. A message in blood is written on the floor . . . RUN. 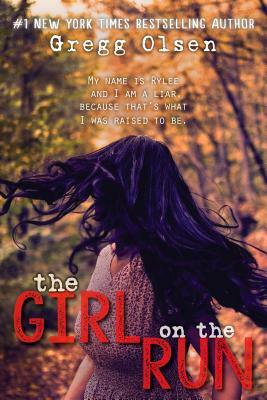 With her brother in tow, Rylee begins a dark journey that will uncover horrific and chilling crimes and lead her to an unexpected and gruesome discovery and who is behind these horrific crimes. Run is the first book in the Vengeance series, following Rylee as she begins to piece together the story of her life. A #1 New York Times best-selling author, eight of Gregg Olsen's books have appeared on the bestseller lists of The Wall Street Journal, USA Today, and The New York Times -- in both fiction and nonfiction categories. He has been a guest on dozens of national and local television shows, including Dateline NBC, Today, Good Morning America, Deadly Women on Investigation Discovery, The Early Show, FOX News, CNN, Anderson Cooper 360, MSNBC, Entertainment Tonight, CBS 48 Hours, Oxygen's Snapped, Inside Edition, Extra, Access Hollywood, and A&E's Biography. Deep Dark was named Idaho Book of the Year by the Idaho Libraries Association for its depiction of a mining tragedy in that state. Starvation Heights was honored by Washington's Secretary of State for the book's contribution to state history and culture. Olsen's first young adult novel, Envy, was the official selection of Washington State for the National Book Festival in Washington, D.C. Olsen, a Seattle native, lives in Olalla, WA.